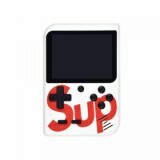 Enjoybay Retro Portable Mini Handheld Game, built-in 400 classic games, meet your different need and enjoy yourselves. 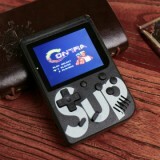 Enjoybay Retro Portable Mini Handheld Game, built-in 400 classic games, meet your different need and enjoy yourselves. And it's portable and slim, mini enough, so it also bonus with a storage bag, more convenient for you to take out anywhere. And it comes with a rechargeable lithium battery and a USB cable, which guarantee a long time to play. Not only fit for children but also adult, bring you back to your childhood. •Built-in 400 classic fun games, including AVG adventure game, RPG role play, ACT action game. •Great gift for children and the aged, take you back to your childhood. 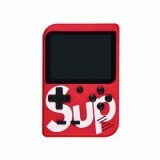 •Convenient size and light weight, carry it to your travel or vacation, and you can join the game anytime, anywhere. •3.0 inch super wide LCD, digital game system, easy to play. 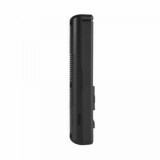 •Rechargeable battery, equipped with rechargeable lithium battery and USB charging cable. •A surprise birthday or Christmas present for your kids, dad, the aged and others who love the old games. •Do not dispose of batteries in fire. •Remove the batteries from the unit if it will not be used for an extended period of the time. It has many childhood games like Mario, Jackal, Contra. It gives me motion of my childhood. A nice item to collect. A classic game player, filled with childhood memories. I like it, the product and the design. 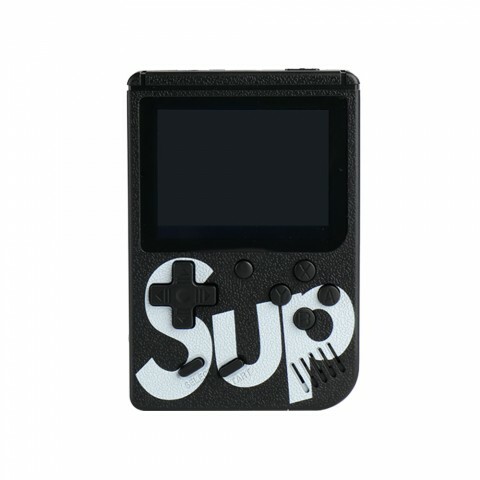 This retro portable mini handheld is super cute and come with a bright display. There are so many classic games such as Contra, pac man, millipede, galaga, and Super Mario 3, which really is beyond my expectations and reminding me of my childhood. The control buttons are ok and you can also connect it to TV for big screen display. Overall it's a good purchase for the price. Game exceeded expectations!!! I thought it would be consumer goods, but no, the quality of housing and display at a high level. Die Spielekonsole ist tragbar und interessant! Viele klassische Spiele, cool. Und ich bin zufrieden mit dem Preis. Good furniture product, is what is said in the description. The seller meets, recommended! Really happy with this toy! Working quickly, screen not fade, control feel good in hand , battery hold power very well. Highly recommend! Fast delivery, it's portable to carry it everywhere! Fast delivery, best package! Die Spielekonsole ist klein aber hat 400 klassische Spiele，ich schenke meinem Sohn und er mag es sehr. 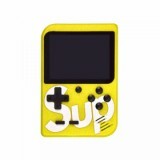 Cute mini game player, like it very much!! Take this player when travelling. Bought this player for my son, he likes it very much. Just hope it's durable.